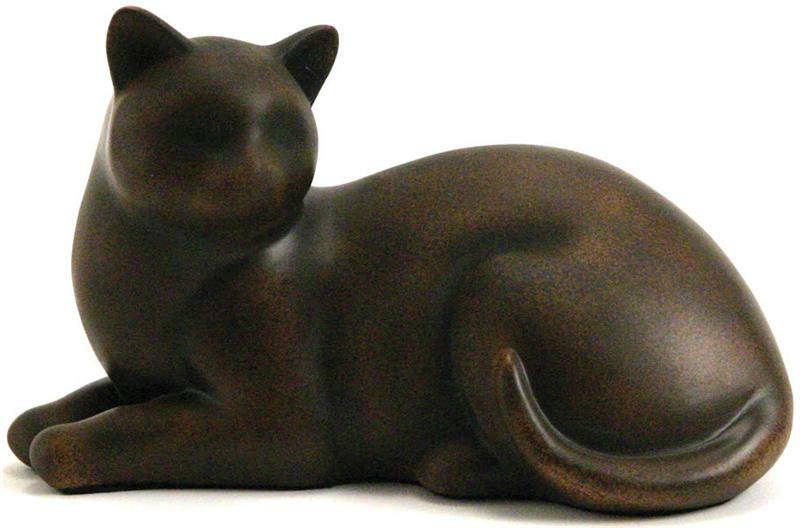 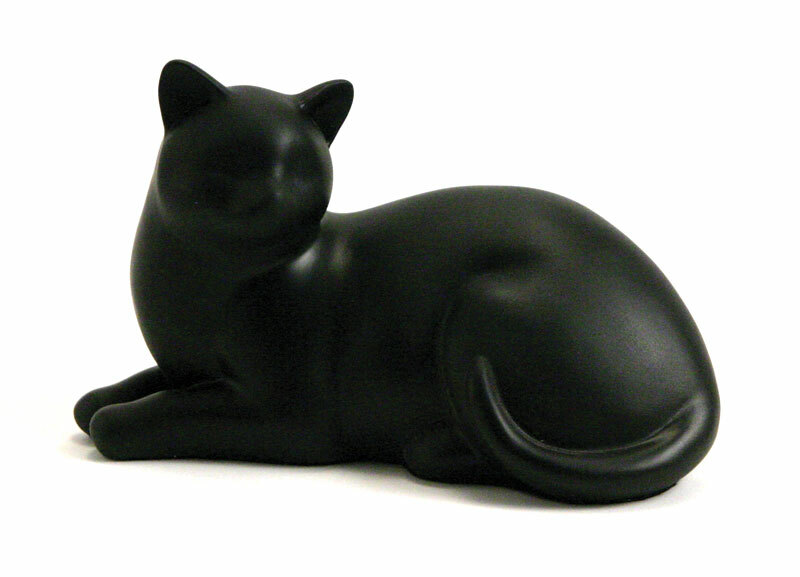 These Cozy Cat urns are crafted of resin with a stone like appearance. Majestic in stature, they are available in four distinctive colors: Stone fleck finishes of Sable, Black, Fawn and Tabby as shown in photo from left to right. 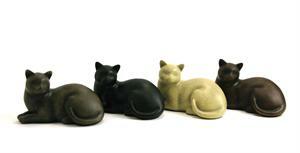 Each cat has a felt-lined bottom. 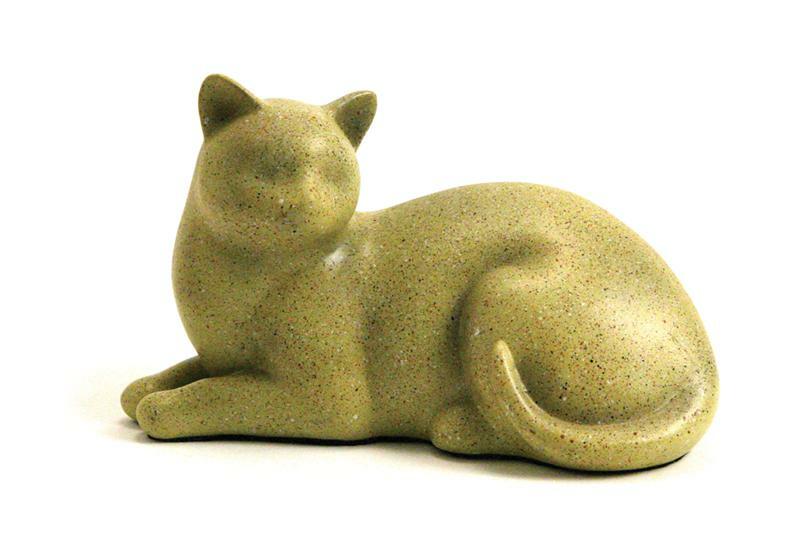 Dimensions:5.2" x 8.5" x 4.6"